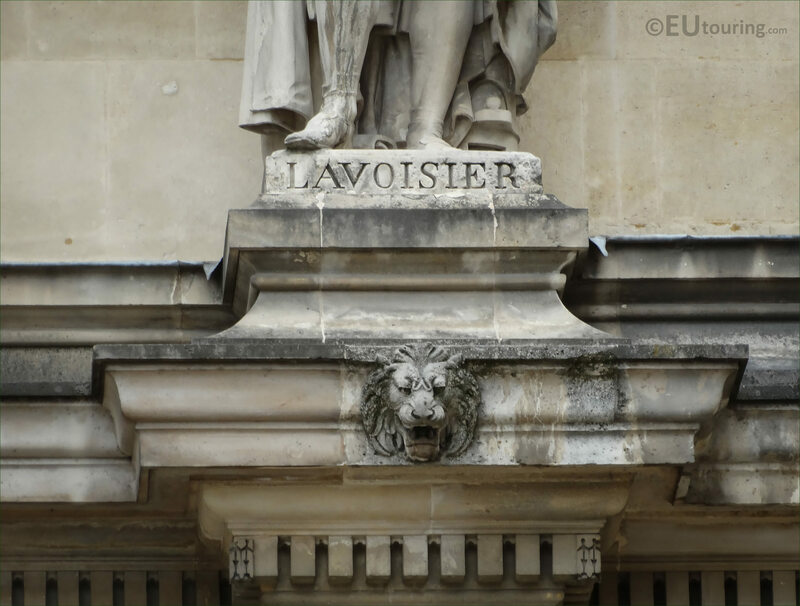 Again while within the Cour Napoleon courtyard of the Musee du Louvre, we took these high definition photos of a statue dedicated to Antoine Lavoisier, sculpted by Jacques-Leonard Maillet, and this can be found on the first level of the Rotonde de Beauvais facade, second in from the right hand side of this wing in the 1st Arrondissement of Paris. In this first HD photo you can see the statue of Lavoisier, which was produced by Jacques-Leonard Maillet, who was born in 1823 and he became a French sculptor with most of his themes being neoclassical or of biblical inspiration, and he received public commissions for decorative architectural sculpture in Paris, plus he won the Prix de Rome in 1847. 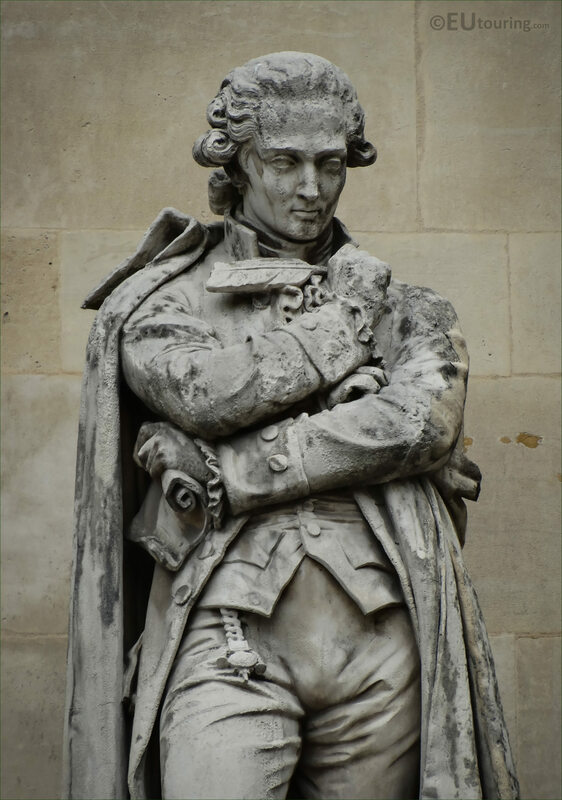 Now this image shows the statue of Antoine-Laurent de Lavoisier, also known as just Antoine Lavoisier, and born in August 1743, he was the son of a wealthy Parisian lawyer, and took a law degree himself, yet his main passion was science, so becoming a chemist, Lavoisier is recognised for naming oxygen and hydrogen, helping construct the metric system and writing the first extensive list of elements. 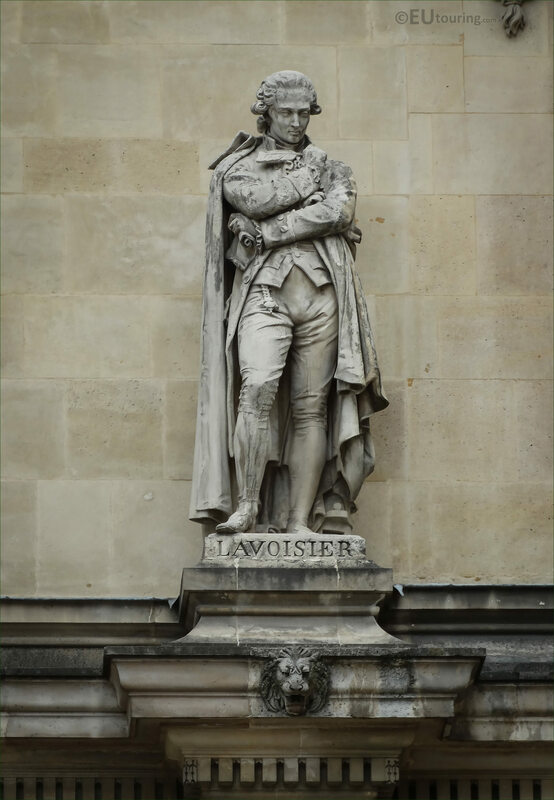 Yet to fund his laboratory, Antoine Lavoisier invested in a share of the Ferme Generale, a tax farming financial company, which was lucrative yet despised, and this was stopped during the French Revolution, and unfortunately, because of this, Lavoisier had to leave his post at the Gunpowder Commission, his laboratory and home, yet was still convicted of different crimes relating to taxes, etc, and was guillotined in May 1794, but his contribution to chemistry is still remembered today.